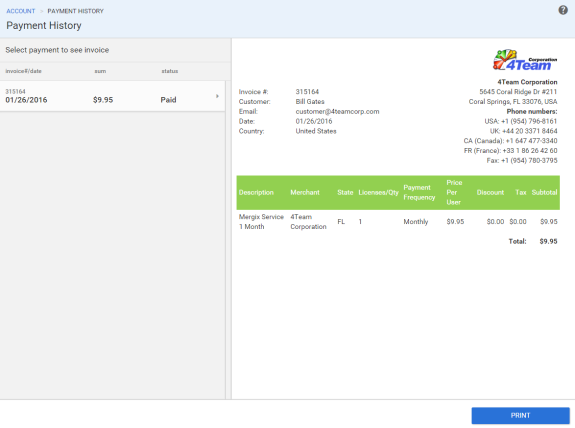 You will get an invoice to your email after every payment you make. You can find your payment history on the “user account” menu in the upper right corner. In the payment history, you can see your past payments and all the information about them.